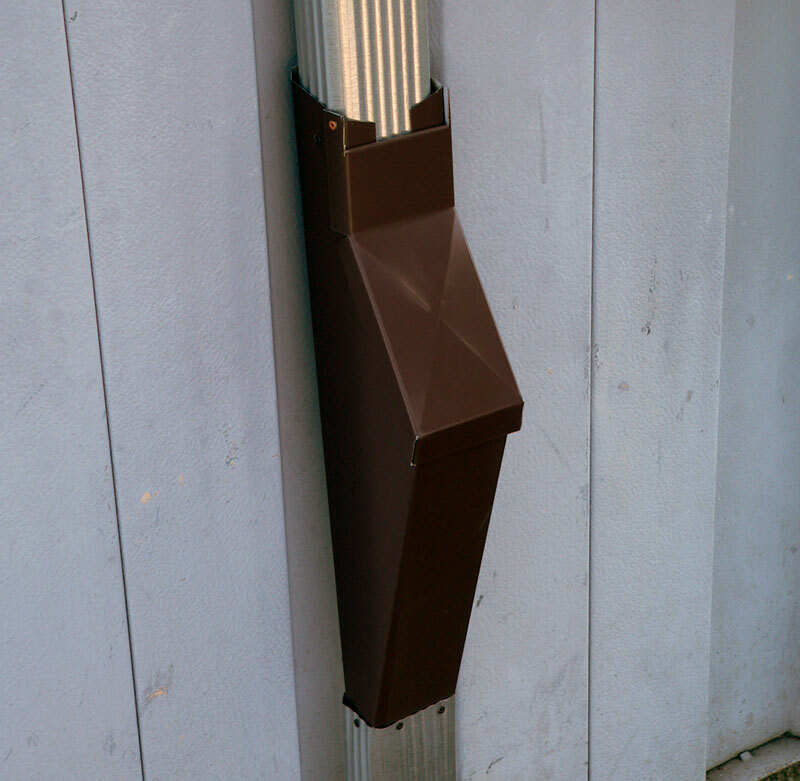 The Downspout Trap / Clean-out is available in 12 finishes. Black, Dk Bronze, Copper and Stucco are popular neutrals. We also offer over 60 "Kynar 500" colors of Painted Steel to help you perfectly match your homes color scheme. Specialty metals, patinas and stucco finishes are also on our menu. We can even use your material. Below are pictures of both a standard Downspout Trap / Clean-out and variations we have done or designed. Please take a look at the gallery at the bottom of the page to see more examples of this beautiful and functional addition to your home.